On 2 March 2018, during a period of rail disruption caused by extreme weather conditions, an incident occurred just outside Lewisham station in London. That incident saw a number of passengers de-train from a Southeastern service which had been delayed for an extended period of time. A number of official reports into the incident are currently being commissioned or discussed within the industry and government. As is our practice, we will avoid commenting extensively on the incident (and its causes) until those have been released. Given the extended debate online, however, it seemed best to provide some background on detraining incidents in general, and points worth considering in the context of any current discussion (such as at our own upcoming meet up later this week). Whatever the individual causes of incidents such as this – and they vary – there are three things that historically have generally played a critical part. Firstly, that correctly evaluating the risk of imminence during railway incidents is a problem. Imminence, in this context, is how far away (in time) the solution currently being pursued is to being successfully carried out. The oft-overlooked issue here is that in many individual instances the timescales involved in implementing the currently preferred solution are considered, but not whether that was the first solution attempted. As a result, there can be a tendency to think of a solution as being ‘imminent’ for passengers, because that solution itself will only take a short time to implement, whilst ignoring the total time spent on previously failed solutions. Ultimately, there is a point where a ‘best’ solution for detraining in the mid-term must give way to the opportunity do something quicker, with a slightly elevated risk. Previous incidents have repeatedly shown that the failure here can happen when the operator (or National Rail) procedures in place undervalue the opinion of the staff on the train in relation to those managing the ‘bigger picture’ of the wider incident. This can be a dangerous oversight, as it is often the driver (or other train-based staff) who knows better than anyone the emotional and physical state of the people on their individual train. They know when repeated (and genuine) intentions of dealing with the problem ‘shortly’ need to give way to dealing with the problem now. Other incidents – such as at Kentish Town in 2011 – have shown that this is a particularly critical thing to get right in (or around) London, where there is often a station IN SIGHT of the passengers. This means that what seems imminent to them can be very different from what seems imminent in the control centre. Undervaluing driver input also relates to a second common failing: decision-making responsibility isn’t delegated appropriately to local operational managers or staff on the scene. Or, if it is, then staff are insufficiently trained or supported in making those decisions. This leads, subconsciously or consciously, to the benefits of possible solutions not being properly evaluated, or re-evaluated even when they’re technically permitted. This is because the ‘safer’ option for those involved in the decision-making process is to delay making one until someone senior ‘signs it off’ – entirely understandable in such an environment. Thirdly, in recent years there has seemed to be a correlation between Operators with a bad reputation for service and unplanned detraining. How much this is correlation rather than causation remains to be seen, but it may be because it is sometimes forgotten that the railways operate on a currency of trust. That trust – which is paid to an operator by their passengers – can be thought of as operating on a Keynesian model. It is earned, and banked, by an operator through the delivery of good services and a positive passenger experience during the ‘good’ times. It is then spent to maintain control and understanding during the ‘bad’. An appreciation of the role that trust plays in the operator / passenger relationship is more critical now than it ever was before. In previous eras, the information provided by train staff was often the only such information available to passengers during an incident, no matter how much faith the passengers had in its accuracy. Regardless of trust, the only competing source was the passengers’ own instincts or knowledge. Today, however, a variety of other, ever-present information sources exist, competing to provide information or advice about the situation at hand. Indeed, by preference, an increasing number of travellers consider social media – in whatever form – to be one of, if not their preferred, method of communication during an evolving situation. Regardless of the merits of that approach, it is the reality. Worse, for an operator, it is a reality that dramatically impacts their ability to maintain control of the narrative when trust is found wanting. How much of a role these factors, and more, played in the recent Southeastern incident remains to be seen. A number of accounts from passengers claiming to be involved have begun circulating. No doubt many of these will turn out to contain critical information about what went wrong and what the industry needs to change. They are, however, by definition subjective accounts which can only ever present a single perspective on events. It is the combination of these accounts, along with those from the railway professionals involved, and the data and recording systems in play that day, that will yield the wider picture of what happened. Once that full picture has been established, whether through the guise of an ORR investigation, an RAIB investigation (should it be deemed appropriate) or other means, we will look at it further here on LR. Those reports will highlight just how much the railway has learned – or failed to learn – from previous, similar incidents, most recently at Kentish Town, East Croydon and Denmark Hill. They will also provide some guidance on what the industry needs to do to avoid such incidents in future. One thing that should be made clear, however, is that those conclusions will likely highlight that, as in previous incidents, the main causes were related to management and to risk, not politics. It is perhaps not altogether surprising that much of the debate swirling online since the incident have looked to frame it through a window of ‘nationalisation vs privatisation’ or of ‘driver only operation’. Those debates perhaps have some indirect relationship to this incident, but they are almost certainly far from its cause. There is no intrinsic reason why a national operator would be more ‘trustworthy’ than a privatised one if the underlying service (or at least the perception of it) has been consistently poor. This is something that LR readers with long memories who experienced bad service during the British Rail era would no doubt attest to. Similarly, there is no reason why a two-person train crew would be better placed to overcome the risk management issue of imminency than a single operator, if both lack the power or backing from their employer to do so. As human beings we quest for simple, clear solutions. It is wired into the fibre of our being. In the overwhelming majority of railway incidents such of this, however, the causes are both more complex and more mundane. Politics doesn’t make the railways work or fail, people and procedures do. Establishing and evaluating the causes of this incident will take time and the conclusions almost certainly won’t be simple. We look forward to seeing what the results, however, and to sharing them with you here. Should people wish to discuss the incident or share links, ahead of the release of reports, then this article is the place to do it. Be warned, however, that unsupported assertions about what happened or general comments on the politics of nationalisation or DOO deemed outside the scope of the discussion will be deleted without comment. Blanket statements were being made about xyz happening & therefore all passengers were seemingly thinking it applied to them (especially when mention was made of official de-training) and exascerbated the situation. A simple splitting of the tweets to focus on each individual train could’ve helped with this. Eg. “17:30 Dartford v/Bexleyheath service – abc is going to happen for you” “17:45 Orpington service – def is going to hapen for you” etc etc. I would have thought that the incident in the New Forest, whilst it did not involve spontaneous detraining, is related to this as well. Hearing about such events like that colours people opinion of whether or not to detrain; e.g. “I do not want to be stuck here overnight like those people on the xyz train so I am off – who is coming?”. Photographs indicate that at least two trains were involved, one a Networker and the other a 376. The 376 (for which comments about ‘no toilets’ would have been correct) was within two carriage lengths of the platform at Lewisham, but I have not been able to identify exactly where the Networker was, though possibly in the vicinity of St John’s station. As Simon observes, if the messages had identified the specific trains involved, it may have been possible to persuade fewer people to take the action they took. Had it taken place in the ‘Big Freeze’ of 1987, when EMUs were still capable of being hauled (or pushed) by a rather larger fleet of diesel locos, no doubt the whole incident would have been resolved more quickly. I’ve been keeping this in mind as I read all the technical aspects of the incident. over at the UK Rail Forum. Yes, 376s have no toilets, but all the toilets on the Networkers have been locked out of use for the past 2-3 months due to issues emptying/cleaning them at the depots. SE actually tweeted something about it a month or so ago. Unfortunately I can’t find it at present. Forgive my laziness, but does anyone have links to what happened at Kentish Town in 2011 and at Denmark Hill (time unspecified)? 2011 was just before I started using KT so I’m curious. @Spinicist: The Denmark Hill incident in question is actually this one at Peckham Rye, which was a staff-assisted passenger detraining, whilst the 3rd rail was still energised. If southeastern cannot learn the lessons in 8 years, what hope is there when there is a chance that they’ll lose the Franchise? If news reports are to believed, five trains became unable to proceed for protracted and unacceptable periods of time. In most [all?] of these cases, the cause was ice on the conductor rail, rather than frozen points or sheer depth of snow. In days of steam, the nearest available engine-in-steam with sufficient power would have been despatched to tow away the crippled train. Whilst I appreciate that no company keeps engines-in-steam idling away today, can anyone explain (with the availability of diesel traction) a diesel engine cannot be found to tow the disabled train to a station? Even if it took 2 or 3 hours, ‘twould be better than an overnight stay in a train at sub-zero temperatures. This isn’t a new phenomenon. It happened several times in BR days when of course slam door stock made it easy and it has happened before since privatisation; most notably a series of events on the SWML in SWT days where the presence of a guard made not one jot of difference. The real value in the Kentish Town report is the uncovering of the repeated failings of FCC to implement the recommendations produced from reviews of their operational incidents. This extends right through to FCC not briefing their control staff on the new stalled train procedures that had been introduced as company policy the previous week. The report by noting that although there is an industry-wide system for recording of safety incidents, there was no associated system for recording the outcomes and procedural changes that were learnt as a result of them. This prevented sharing of knowledge between NR regions and TOCs. The Kentish Town incident resulted in the ORR, NR, ATOC and the BTP to review and audit emergency plans for railway incidents with NR and ATOC jointly producing new national guidance. Thanks @IgnoredAmbience and @PeterRW, the links are much appreciated. Given the proximity of New Cross and Lewisham to the Angerstein Wharf depot which sees freight trains zipping in and out fairly regularly I wondered about the feasibility of sending one of those engines over to shift the stricken trains. Perhaps those engines can’t run without electric power though (are they diesel? ), and I think they take about an hour to get from Charlton to Lewisham as they usually have to take a massive curved detour, but perhaps the engine by itself can whizz about a bit more freely without all the heavy wagons attached. Very glad not to have been on either train (I also thought there were about 4 involved), though I expect the Networker (https://en.wikipedia.org/wiki/British_Rail_Class_465) would have been a more comfortable experience as my perception is there’s a better chance of getting a seat. I generally avoid the Electrostar (376 https://en.wikipedia.org/wiki/British_Rail_Class_376, and other numbers) ones at all times, not a fan. Anyway for completeness I also wanted to add a note about a train I was stuck on outside Deptford, again in 2011, really to highlight what a different experience it was. Normal October weather, daylight, only for two and a half hours and it was solved by letting us roll back to the preceding station assisted by gravity, I wrote it up here https://brodiesnotes.blogspot.co.uk/2011/10/power-of-communication-minor.html – we had really amazing comms from the driver who also told us lots about trains. It was very informative! It was at the time when people on trains were using Twitter effectively to share info about problems with other passengers across the network on the #southeastern hashtag. The original article was well written even if it used some correct but slightly arcane language. It would be helpful if posters stopped comparing the current situation to steam days or even the days when diesel assistance could easily be coupled to a failed or stuck train. None of this is relevant now when we have specialised couplings on electric trains with limited compatibility between different units. IMHO this is mostly about communication – no-one will force open or release train doors if they know that their train – the 15.36 Charing Cross to Dartford or whatever – is firstly a known casualty – control know we’re stuck – and secondly – what the plan is – we’re going to be stuck here for another 20 minutes/2 hours and then we will be moved or you will be allowed off once the electricity has been turned off which otherwise will kill you. In my experience (over a very long time) the railway turns inward on itself at times like this and worries more about railway things than people things. I know the risks but on an extremely overcrowded SE suburban service I completely understand someone deciding that enough is enough and forcing the doors. Thanks to all contributors for a great site. I think it ultimately boils down to a forgetting that the passengers are human beings. Human beings have a limited tolerance when in stressful conditions, and will, when pushed, behave irrationally. Communication and empathy is one of the biggest assets to dea with these situations, but even if you’re doing that right, the unexpected will occur. A failure to understand how people react in these situations should, in my view, preclude an organisation from being responsible for the operations of a railway. In short, the railway must be run for the passenger’s convenience, not for the railway operators. But it seems these lessons from previous incidents continue to go un-heeded. Irrational? If I’d been imprisoned in that train for over three hours in dreadfully cramped conditions, I would not consider it irrational to smash the doors open. That eye witness account is absolutely shocking. “Train 1” blocked 3 of the 4 lines at Lewisham (including both down lines). The following 2 services were stopped 1 signal section behind train 1 on different routes. “Train 2” a Cannon Street – Hayes via Lewisham stopped with its rear stuck blocking the junction at St Johns Jn and thus the down slow line (Down Cannon Street) on the SEML and “train 3” another Charing Cross – Dartford via Lewisham (10car) stopped on the flydown with its rear end effectively blocking both SEML fasts (as 10 or 12 car services do due to signal overlap). This effectively blocked all lines not via Greenwich from Charing Cross and Cannon Street and to Charing Cross so almost “Check Mate”, it really couldn’t have happened in a worse place. The obvious magic bullet solution from the railways point of view to try to escape from check mate is to get the “train 1” moving as it solves all the other problems including having to reverse and de-train / reroute upto 20 trains with resources already thinly spread. “Train 4” Cannon Street – Hayes was following behind “train 2” and stopped just short of St Johns but was eventually allowed to go past the red signal into St Johns to detrain after some alarm pulling. Passengers self evacuated from Trains 1-4. Potential rescue locomotives at Angerstein Wharf. The only train there left about an hour before the incident started. I understand that on SouthEastern as soon as a train with passengers is detained (not at a station) for 30 minutes things escalate and decisions have to be made as to the best course of action. Of course, this implies there is a choice. The ATOC guidelines are general and each train company’s case is different. In SouthEastern’s case one often has to take into account the sheer number of trains affected and it is then better to look at the overall picture rather than focusing too much on individual trains before the 30 minutes cut-off is reached. The document you quote suggests commence evacuation after 1 hour and it should be complete after 2 hours. I think implicit in this is the implication that this applies when this is the best course of action. If the train is heated and warm and has functioning toilets (I acknowledge this wasn’t the case here) and is stuck in a remote place with atrocious conditions outside (for which some passengers may not be appropriately equipped) then remaining on the train would seem a reasonable option. Not commencing evacuation is a reasonable option if the evacuation itself poses considerable risks and or if you have good reason to believe you can get the train going again and reaching the nearest station in less time than it takes to evacuate. I knew the Tanners flyover down line (the one that actually rises) was limited to 10 carriages before it fouled the main line. I didn’t realised that signal overlaps meant that even 10 carriages was enough to prevent a following train continuing to move on the main line. I suppose there is a risk of the train running back but it seems a bit strange to me. Not querying the facts but a little surprised. This then means that the conventional sensible way of running trains on 3rd rail in icy weather – make them as long as possible so they don’t gap – actually introduces a bit of a risk that they can make a bad situation worse. I always thought that they really should have demolished and rebuilt Friendly St bridge to pass over five tracks to make the down Tanners Hill flyover line a bit longer. It may have made a real difference in this situation – though it wouldn’t have prevented the initial problem. One thing that emerged (in rather too graphic detail) from the problems of Eurotunnel some years ago is just how important toilets are and the need to go and, if it comes to it, the need for some kind of orderly plan to minimise the unpleasantness and health risk if the toilets aren’t there or aren’t working. This was particularly the case on the Shuttles which presumed that drivers and passengers were only going to be on the Shuttle for a short while and would remain in their vehicles. 1: Timely, accurate useful & relevant information to passengers is essential. Vague wafflings & empty promises simply will not do. 2. Your point about “time passing” … bumbling though several possible solutions, until the passengers, rightly or wrongly lose their tempers – rather than, as you say “what needs to be done NOW. 3. Your other point, that many passengers will have other information available & will certainly not appreciate being lied to. 4. three hours on a broken down train without heating, lights or use of the toilet …. 4b. . See Gary Williams post, a similar incident, the last time “we had snow” occurred in sight of Orpington station, with the same operator, when people were trapped overnight but ISTM that some operators cannot or will not learn – or am I overstating the case? Question – what were SE “management” actually doing during all of this? 7. Ignored Ambience: So, all the correct procedures have been examined, modified & signed-off. 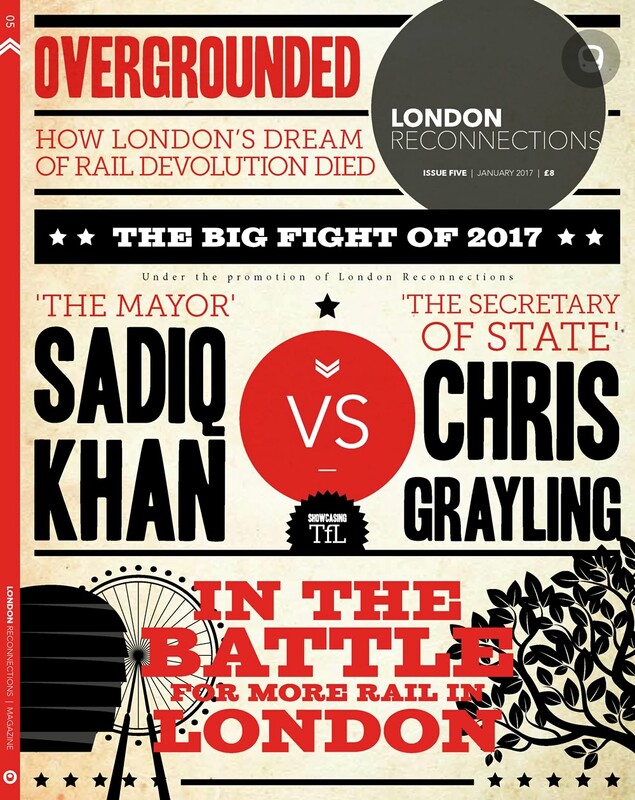 It then appears, & I stress “appears” that SouthEastern still managed to screw it up – or so it seems – the RAIB/ORR reporting on this is going to be … interesting. Most SE units only have (IIRC) only 4 pick-up shoes, whereas most on the ex-LSW lines have 8, which reduces the risk somewhat ….. The blog-commentator who was involved, quite correctly, points out: …. 2. Follow official guidelines when a train is broken down and unlikely to move. This document makes it quite clear that we should NOT have been detained for this ridiculous length of time. You broke all codes of health and safety. @PoP – “Not commencing evacuation is a reasonable option… if you have good reason to believe you can get the train going again”. This is the problem JB mentions – at what point, and after how many attempts, do you decide that this isn’t going to work? Not quickly enough, as this event and numerous previous other ones demonstrate. Optimism bias (especially if the decision-makers aren’t “on the ground” exacerbates this. The RAIB report on the third freight train derailment in the area in 5 years caused by poor track geometry and unbalanced wagon loads is just out. It is incumbent on someone not following the guidelines to show what particular circumstances justify choosing not to follow them. In the case of the New Forest incident, one can easily see what these would be – rural location, far away from additional assistance, for instance. Network Rail claims it was manually de-icing the conductor rails. It then claims people got onto the tracks so the power had to be switched off. Surely it was off already if rail staff were manually scraping the ice off? Immune to 750volts perhaps? The cramped conditions is going to be a further consideration when the new South Eastern franchise is implement. For example, any pretence that passengers from Sevenoaks should get a seat will disappear. So if there is a major failure, for whatever reason, there will be more crowded trains that need evacuating – ideally sooner rather than later. As a general point, there may need to be a change to the philosophy that you are generally safest if you stay on the train. This might be good for GWR on long distance services but isn’t always appropriate on crowded trains in the South East when there are extreme variations of temperature. At the same time, it is a big ask. Evacuating one train and handling the passengers once they are off the tracks can be hard enough. To do it concurrently with a lot of trains in the same area is probably extremely challenging. That crossed my mind, too. Impressively, Network Rail tweeted back to my slightly sarcastic tweet. Apparently it was just a short section that was isolated. I’m sure ngh will be along soon to confirm that such short sections can be isolated. There seems to still be no official announcement on who is running any investigation. You’d think they’d want to gather evidence as quickly as possible (especially CCTV, which can get overwritten within a few days). I’m guessing that RAIB have considered it to be outside of their scope, which would be a shame, given their expertise and experience in reviewing these kinds of events. The amazing thing is that people waited so long. Investigations – RAIB and a privately comissioned one by NR and SE, the later should report back substacially quicker – the previous Lewisham RAIB report took 58weeks. Isolation area size – It depends how the third rail lengths and the cabling and feed arrangements. The smaller the area the bigger the installation cost through Lewisham is a very good area to justify comparitively small sections. the juice was still on for “train 2” for example. Indeed but it was cold outside, if it was in summer there would have been detraining within 15mins. – “Untangling” SE Metro services as has been proposed by TfL and by DfT to certain extent in the new franchise tender to reduce flat crossing moves at Lewisham Jn. I was following the Southeastern tweets and I can’t help but feel like at some point somebody from senior management that has no experience in social media took over and barked orders at paying passengers. As much as I would like to remain rational, I probably would have detrained as well had I been stuck on the train. That RSSB recommendation PDF is amazing. It’s amazing how much it predicts what went wrong (commuter passengers in Southeast, seeming proximity to stations, lack of toilets, propensity to self-evacuate). It’s amazing how thoroughly its recommendations were _not_ followed by Southeastern. They know you’re supposed to _check_ the boxes, not leave them nice and empty, right? Perhaps in future all-electric franchises should have a requirement for a diesel shunter at each depot, equipped to reach and move a train in such circumstances? The Angerstein Wharf branch is not (or I should say, no longer) electrified so all trains on the branch are indeed diesel. 1. is there a driver available? 2. can the locomotive reach the stranded train? Note that only (at best) the first and last trains in a queue can be reached, and the operation may prevent other assistance (such as evacuation) being given to the other trains. 3. is there a suitable adapter available to couple the locomotive to the train. Electric unit couplers are designed to do a very different job to those fitted to locomotives. A locomotive coupling has to be capable of the mechanical stresses involved in towing a 1,000 tonne freight train up a hill (and of course wagon couplings must be capable of the same, as any wagon can find itself next to the loco!). As electric units have power distributed throughout the train, the inter-unit couplings only have to deal with the relatively small forces caused by differences in power, weight, and braking forces between one unit and the next. Their couplings do, however, have much more complex electrical and control connections than the simple screw or buckeye couplers fitted to locomotives. A locomotive may be capable of “whizzing” about when it is unencumbered by a tail load, but speed on the railway is determined more by the train’s ability to stop than by the speed it is actually capable of. Indeed there are some hills where the speed limit uphill is higher than it is downhill, for this very reason. Compared with a loaded train, a locomotive has relatively few wheels (and therefore brakes) for its weight. Maybe 12 tonnes per wheel, compared with only 9 tonnes per wheel for a 36 tonne coal wagon. There have been a number of accidents involving locomotives finding their own brakes unequal to the task when not assisted by those of a train. And of course in icy conditions it behoves any driver to proceed with caution. Finally, using rescue locomotives is not without its risks – on more than one occasion a locomotive has collided with the train it had been sent to rescue because of a misunderstanding about the stalled train’s location. PoP’s quote implies that the default position will be that if a train hasn’t moved for an hour, the train WILL be evacuated (regardless of what else has been tried within that hour). This would mean that, if it takes more than 30 minutes to put an evacuation plan into action, preparations should be made for that contingency well before the initial 30 minutes has elapsed in which a decision has to be made, whether or not the decision is eventually made to do something else. This means that other trains must be stopped (and power switched off) an hour after a stranding is reported, unless someone in authority countermands that position. The one hour default may vary from route to route, depending on the nature of the terrain, type of rolling stock (in particular availability of toilets), likelihood of standing passengers etc. The power is supplied to relatively short sections of railway. The staff were scraping the ice off the 3rd rail near the first train, so that section would be switched off. But the trains in the queue behind would be in different sections, where the power would remain on if at all possible, to keep the lights, PA etc going on those trains. In passing, I find it surprising that ALL staff on the railway are not given at least a basic track safety briefing so that they can go on the track in an emergency (e.g to assist a passenger who has fallen off a platform, or to remove an obstruction that could de-rail a train). After all, the concept of a live rail is not difficult to understand. (I would guess a significant number of the “self-evacuating” passengers were aware of it too – certainly there were no reports of anyone being electrocuted). Or, better still, install Proceed on Sight Aspect (POSA) signals. @Timbeau: Sod the couplings, push the train… You can replace a coupling (or three) quite easily. Given the loads “Sheds” (Class 66’s) haul around the country, I would be surprised if it couldn’t push two 10 coach trains (Trains 1 & 3), especially as T3 could have backed onto T1, so then it would be pushing a load mainly downhill. I had a friend on this particular service who I would describe as one of the calmest and most level headed people I know; their description of the night – which I’m totally at ease with saying I’d believe 100% – matches that of the buzz steam article. By all accounts it was freezing, dark, and frustratingly under-informed – as many have already commented now, the amazing thing is that people stayed calm and on board as long as they did. I don’t have much to add from a technical point of view with regard to how it could have been fixed, but I do know that my friend was left feeling extremely unwell and downright furious having been kept in the cold in a pee-stinking, freezing train for as long as he was. PoSAs may not have helped the SEML fast lines. *If* the train stood on the flydown was stood on the track circuit for the turnout off the Up Fast, that would’ve locked the points at Tanners Hill Jn in the direction of the flydown anyway, so no trains would be able to pass using PoSAs, unless I’m very much mistaken. Please, please, please make sure that awful word ‘detrain’ is never used. Please say dismbark or simply left the train. The word detrain is a prime example management nonsense when perfectly good words already exist. Please remember there are almost no circumstances when detraining passengers on a dark and snowy night in a third-rail area is going to be the safest option. The railway is a massive trip hazard at the best of times, and last week was not the best of times. All that needed to be done was hand-de-icing of a short section of conrail, which should not have taken a great length of time. I would be amazed if anyone commenting here would have detrained passengers had they carried that responsibility in reality instead of in theory. The longer delays appear to have stemmed from trespass rather than iced-up rails which of course changed the equation. However – we shall see! Presumably you are unaware dewater is actually an engineering term and detrain is its technically equivalnet cousin. Chicken and egg – the trespass happened because of the length of the delay. “de-icing of a short section of conrail, which #should# not have taken a great length of time”. So why did it take so long? As for the term “detrain”, it is somewhere up there with “self-evacuate”, which is what people wanted to do, if only the toilets had been working! I was completely oblivious as you correctly summise. The word ‘detrain’ still makes my skin crawl. Timbeau – I think the investigation will answer those questions, not least how long the de-icing actually took and how long passengers were stuck on the original trains before making a bid for freedom. My impression is that there’s a lack of clarity inside and outside the industry on all of that at the moment. Just to reassert, however, there are very few circumstances in which people are better off on track in the dark than on a train. Toilets – I think – will be the key here. @SHLR and others – there simply aren’t large numbers of 66s (or anything else) lying about just waiting to give a delinquent train a push, and even if there were, you’d have to clear a path through the trains that were stuck behind it to get the loco to the desired train. In most cases, that would seem to involve reversing a whole cavalcade of following trains to somewhere out of the way.,. Then there is the interesting question as to whether or not this “spare” 66 has a crew with the route knowledge and enough time left; if not, the there is the further interesting question of where you might lay your hands on a crew who do have the knowledge and the hours. If the drivers of trains 2 & 3 could have proceeded on sight to closer to train 1, they may have been able to clear the interlocks. Certainly train 3 should do it with ~40m as an 8-car standing on the flydown doesn’t cause this kind of blockage. I’m not sure what types trains 1 and 3 were, but even if they had different couplers, it should by possible to use train 3 to (very gently) push train 1 just far enough that it can get to some juice. Damage to some couplers if used in this way should be a relatively modest cost in the grand scheme of things. Joseph Thomas: Detrain (and entrain) are perfectly good English words which my OED records as being in use since at least 1881 and are employed at all levels on the railway. Not management nonsense at all! Something to reflect (research?) is heard mentality. By all accounts the first door to be opened was by a group of young men, daring each other. Once the first door was open then came a mass exodus. I wish people would not use “self-evacuate”, especially when there were no toilets available – it sounds like an involuntary bowel movement, and is poor English. Detrain makes perfect sense, whether under instruction or not. Why are so many posters reluctant to use their real names? Insiders posting anonymously I can understand, but amateurs have no obvious need to. @Moosealot: Actually from NGH’s description, the rear of train 1 should still have been on the ramp. So why did it stop? Did the loss of power cause the brakes to be applied? @Graham H: 455 were built (other locomotives are available too), given SET had already resorted to a special timetable due to the snow, surely they could have dug up something here? Or do they need 6 month weather forecasts in this age of “innovation and flexibility”? I’m sure the concern of many passengers was that they could access a toilet, and perhaps jump on those buses that they could see going past the window. So just ramming the trains into a platform would have been well appreciated! 2) Signalman can just quickly do it without even needing an acknowledgement – having identified the situation is suitable – so no time wasted. Talk-through on the radio can be tortuous with everthing needing to be confirmed and certain words or symbols spelt out in the phonetic alphabet. If the points are set for the wrong route neither ‘talking through a red’ nor POSA is appropriate. If the points are set for the correct route then both options are appropriate. Detrain is a word found in many railway books that were written a long time ago. Not only is it not new (as already pointed out) it has been in regular use for many years. I think the subtlety of the word is missed here. If you get off a train in the normal course of events then you generally refer to leaving the train or arriving at the station. If it is due to an irregularity the word ‘detrain’ is often preferred to emphasise this. So: If the driver has no working radio then passengers must be detrained at the next station. Passengers wishing to travel to Windsor should alight at Slough for a connecting service. Passengers were detrained once it had been established that the power had been cut off. I consider the fact that detrain can be traced to 1881, when disembark can be traced to at least the 1580s only serves to confirm my point. ‘Detrain’ is newfangled jargon that serves to only alienate the passengers when a perfectly good word in common usage already exists. @ Ngh – thanks for the brief overview of events. I only saw a bit of the social media flurry on Friday and could see from photos etc that several trains were “stuck”. @ PoP – your point about higher capacity, long, majority standee trains is an interesting one. One wonders whether the guidelines are actually being reviewed prior to Crossrail opening to reflect a different potential risk profile. I do recognise that as the CR core is new build it will be better provided for in terms of tunnel evacuation than many other routes. However there must also be some issues here for London Overground and Thameslink given their rolling stock design. Also future lessons for SWR and South Eastern as Ngh suggests. I also expect that someone has considered and is planning for the potential of very large numbers of people being underground in Crossrail stations if a serious service incident coincides with the peak. Without being rude I think there is more to track awareness and being able to act competently in and around the track environment than just knowing where the juice rail(s) / wires are. As an office based, non operational, person at LU I actually couldn’t take track competent / track awareness courses (and I did ask). Things may differ on National Rail but I doubt it. There may even be a view that “trained” people but with little or no exposure to walking about on the track may actually be a risk in and of itself and not actually a help during an incident. On a general point I do think the public transport “industry” needs to consider gently educating its users about having back up plans on how to get home and the need to keep moving if they find that their service is not running when they arrive at a stop or station. This is NOT relevant if you’re stuck on a failed / stuck train. However the most frustrating thing in the world is to be left standing still and feeling powerless in a station. Many, but not all, people will have some sort of alternative way of getting home and having a back up route or routes is invaluable in getting away from a frustrating situation. The ability to think “out of the box” about how to get on a transport service and to beat the “herd” is also useful. And, before anyone gets indignant, yes I know the reasonable expectation is that bus and train companies should get people from a to b safely, reliably and in good time. However things do and will go wrong so people having a bit of additional knowledge and a plan is no bad thing at all. One final point is that I suspect resources were stretched very thinly because of the cold weather. Clearly an investigation should recognise this if it caused issues in the management of the incident. This is not to make excuses but merely to recognise a possible factor. @SHLR – and a number have been withdrawn/sold overseas. In any case, the point remains that unless the locos are sitting idly nearby and fully crewed, all the problems of releasing them and getting them to the site will occur and cannot be avoided. Remember when SWT maintained a couple of Thunderbird cl73s? Woking was a good place to keep one in terms of accessibility but that still didn’t make it any easier to get one on to a stalled train at the front of a queue of a dozen or so trains piled up behind it. This is why TLK specified that the immediately following train should be able to propel the delinquent out of the way. (Whether this was actually a good idea, given the resultant need to dispose of a half kilometre long train is another matter, probably not for this thread). So, according to your logic, we ought to refer to the train ‘breaks’ which was the traditional spelling of the device used to stop a train and featured in many old Victorian accident reports. ‘Brake’ is just new-fangled. And, keeping up with old terminology, we ought to refer to ‘electric pressure’ rather than than voltage*. This is also what accident reports have referred to in the past. *For the purists I will concede that voltage is wrong as it refer to a particular unit that measures it and really the term ‘electric potential difference’ should be used. And to add to that, I agree about what it takes to be competent trackside. I am of the personal opinion that in these days of instant communication and strict procedures you need fewer but better trained people to do it. In any case you will need the full complement of station staff (and more) to deal with the people once they get to a station. A station is not a very safe environment if you suddenly get a thousand passengers – some confused, some angry, some upset and some needing medical attention. [Grey Tingey mode] I once had a friend who was a signal engineer [/Greg Tingey mode] who went mountaineering and once was dangling upside down on a rope in the Alps. He told me he had never been so scared in his life … when he had to walk between Clapham Junction and Victoria whilst trains were running. POP – I agree the train is usually the safest place and its challenging especially on the third rail (and fourth rail) system trying to evacuate passengers. Its time for a different mindset however as its not right passengers are held prisoners by train companies. There should be a time limit after which its “right okay, we evacuate the trains.” I cant say how or in what way this would work as it would depend on many factors, but its time the railway companies and Network Rail attempted to cultivate a different and better philosophy. Though the presence of a guard will not stop determined passengers detraining, especially on a crowded train on non gangway stock, it is physically impossible for a solo driver to both man the cab and radio AND give any sort of attention to passengers in this situation. Remember this trains won’t even have an OBS, let alone a guard. Centralisation/reduction of staff is great for a business that does not have huge numbers of ordinary members of the public potentially stranded anywhere on the network. Although dramatic events are rare, if the public want rapid response to them, more trained staff and plant are needed locally. This costs money and that will be recouped somewhere – pricier tickets, lower shareholder dividends, lower treasury payments, cost cutting elsewhere. The fragmented nature of the rail industry has yet again been shown to be a distaster. In my experience the whole structure seems to fiddle while Rome burns, with no sense of urgency or ability to come up with a solution and stick to it. Meanwhile real people suffer at the end of this broken chain – I wonder that we haven’t killed a few yet. The inability of management to think that front line staff have any contribution to make other than “following orders”. Drivers, station staff, etc, have to fight to be heard when decisions about skip stops, terminating early etc are en, even if they are patently nonsense. Usually there is no point. Now I’d rather not have to evacuate 12cars of passengers on my own, but if the power was off and I only had 20m to walk them, I could probably do it using the limited tools to hand. This sort of initiative isn’t welcome on the modern railway ie discretion is rejected in favour of a blanket ban of anything possibly going wrong – which ultimately leads to the “safest railway is one without trains at all” mentality. I’ve even more or less been told to keep my nose out when offering to helm cancelled trains that there was no driver for. I fear that a lot of this is theorising without data – perhaps the one of most useful things that an RAIB or similar enquiry can do is just produce a time line of the facts; what happened when (including what communications were made and to whom); and something that might concentrate management minds: when was it established there was a problem – beyond what might be termed normal delays – and what was the initial plan to deal with it, and when would that be achieved; and than at about 15 minute intervals an update – what had changed, how was the plan progressing, and what was the new timescale. I long ago came across this: The Cheapest of Fukushima’s Lessons – http://www.jdawiseman.com/papers/communications/20110322_fukushima.html – and while it is talking about a different sort of incident in a different industry and a different country, I think it is widely relevant and deserves to be generally considered and applied. Getting back to last Friday’s incident, my understanding (and it is only an understanding – I stand to be corrected) is that NGH’s brief synopsis (6 March 2018 at 08:02) is – based on what I have seen elsewhere (in particular at https://www.railforums.co.uk/threads/passengers-abandon-train-at-lewisham-with-3rd-rails-still-live.161467 ) – inadequate in that the original problem befell an earlier train (let’s call it Train 0: 2M48 1556 London Charing Cross to Dartford) which stalled just after leaving Lewisham (last entry on Real Time Trains is Lewisham departure 1734 3/4) – I believe this is the train that the buzzstream commentator pointed to above could not board at London Bridge. Crucially, it appears that it failed within the the overlap of the Lewisham platform 4 starter signal 447 (see http://www.opentraintimes.com/maps/signalling/nkl1#LINK_3 for signal numbers); and so preventing signal 445 (platform 4 entry signal) clearing, and so holding the following train “Train 1: 2M50 1626 London Charing Cross to Dartford”, which (I believe) is the train the buzzstream commentator was on, and whose last RTT entry is arrival (approaching) Lewisham 1737 3/4. Whether at that time, or for some period thereafter, it could have proceeded into platform 4 without de-icing is something I cannot say: but had it done so that would both have improved it’s position, and unplugged the Lewisham bottleneck, enabling all the other trains NGH lists to move on. “Understand that passengers will self-evacuate and there are only two things the railway can do to stop it – (1) get the train moving again before they do. (2) evacuate them before they do.” Anything else, in keeping them relatively comfortable and informed (in short: cared for) is merely delaying the inevitable. otoh, I detrained from a northbound fast service on the Euston – MK route just north of Watford Junction before the tunnel entrance, as did many others. In part because of lack of timescale information, in part because there was no third rail and we had no further tracks on the exit side. It’s a bit like getting stuck in a lift: if you can’t do anything about it you just wait. If you *believe* you have an alternate option you will consider it increasingly strongly as time progresses *without apparent external action*. These passengers were kept waiting for far too long. Not disagreeing with most of that. On the issue of guard/OBS there is supposed to be a facility for control to talk directly to passengers on the train in an emergency. One would have thought this would have qualified as an emergency. In a way it would be even more reassuring to hear the voice of control (implying contact with the outside world) than to have that of a guard or OBS. To me, it is sad that this facility did not appear to be used – even if it was only used to relay bad news. If the problem was train 0 not clearing the overlap outside Lewisham station, I am pretty sure that the equivalent scenario on the Underground this would be simply dealt with. Procedures may have changed but I suspect the station supervisor (once given the necessary authority) would stand at the end of the platform and slowly wave a green light from side to side to ‘call on’ the train. The green light* would be changed to a stationary red one as the train reaches the end of the platform and the driver and station supervisor would confer. The procedure would essentially be repeated further down the platform to get sufficient of the train in the platform for passengers to detrain. I know the situation is complicated at Lewisham by the fact that you have to establish that the points are correctly set and will not be moved but I believe this wouldn’t stop them on the Underground. Note: Station supervisor does not have to be trackside trained to carry out this procedure. *You may wonder why a green light is used when green normally means ‘all clear’. Yellow might appear to be more appropriate but in the old days paraffin lamps were common and burnt with a yellow flame – so waving a green light means caution. @GrahamH: But if you are running one of those enterprising, dynamic and flexible companies that are meant to be running our trains, wouldn’t you be salivating at the opportunity? But seriously yes, hence my comment later about train 3 pushing train 1 into the platform, and why (if I read NGH’s comments correctly) the 376 couldn’t roll into the station, if as I think, the rear part of the train was still on the ramp???? Did some misguided safety system prevent any movement in the case of power loss? If so how did they bring them down to third rail land? I trust it wasn’t by road…. Apart from trains 0-5 already identified, what happened behind them? Were there further trains back from St Johns, or was that it with the thinned emergency timetable? Once you start evacuating, isn’t there a danger that you need to clear all the trains on 3 miles of double track, or are they able to reverse in sections still with power. The procedural, rather than physical blocking of the SEML fasts, must have made things much harder,. Is there no way to change the points without a block clearance on a signal? Because at least then you could ease the situation. I don’t know how people got home as the VIctoria-Orpingon trains were all being turned at Bromley South. PoP, I fear we are increasingly sceptical about the benefits of GSMR. It is much clearer, but not necessarily more reliable, seemingly. There has not been the promised increase of information supplied by group broadcast to drivers or direct broadcast by signallers or control. @tyteen4a03 – I believe the person you are referring to may well be the twitter team manager. Incredible, I know. Well, not for Southeastern. Regarding GSM-R: Clarity when you get a signal and coverage to get the signal in the first place are two different things. It is disappointing if drivers cannot rely on it at all times – and especially when the train has suffered a loss of power and you really need it. Disappointed to hear that better use has not been made of direct broadcast. If it has a group broadcast facility to passengers it should have been a boon and means that one broadcast could enlighten thousands of people who are desperate for news. Most modern electrical units (including the 376s (trains 1&3) have anti-roll back fitted so power has to be applied (notch 1) to move away from stationary (you can coast when already moving however). Brakes are designed to fail safe – power is needed to release them. They can be isolated manually if necessary to allow a vehicle with failed brakes to be moved, but for safety it obviously has to be coupled to something with working brakes before that is done. Not sure how SER’s 465s and 376s were delivered, but many electric units (notably the Underground’s S-stock and the Crossrail 345s) are delivered from Derbyshire by rail – towed by locomotives. Special “barrier” wagons are used as adapters to allow for the different couplings, and to provide brake force as the units themselves, being unpowered, have their brakes isolated. Brakes are designed to fail safe – power is needed to release them. The air supply goes through 3 holes on the flat face of the Dellner couplers see https://www.flickr.com/photos/andrew_cowell/6019170277/ (not my picture) for close up. Correct as regards older deliveries. More recent ones mostly (but sometimes not the first few units e.g. 345s the first few were towed) self deliver (379s, 377/6 &/7, 387 and 345s) or can now (in the last year) be towed with specially adapted locomotives (owned by Rail Operations Group) which have been fitted with dellner couplers and can control the multiple unit brakes directly so don’t require barrier or translator vehicles which is how the SE 375 have been going out side the 3rd rail area for refurbs recently. ROG also have adapted locos with Tightlock couplers to directly drag older BR era MUs such as the 442s, 455s and 465s/466s. There seems to be zero parallel working undertaken. If there is a risk that one solution may not work, then another should be prepared at the same time. In the case of stalled trains, I would have thought that right from the start detraining is prepared whenever there is a chance that a delay may last more than an hour or so, so that it can then implemented speedily if required! Unfortunately, it wasn’t quite night (aka engineering hours) and there were other trains about but fortunately very few. If I recall correctly, one of them made a hurried advance in order to be clear. That is why the incident was so serious. So maybe, just maybe, if all the trains have anti-rollback in future, they can remove the signal overlap at the bottom of the flydown when a train is standing on the flydown and the following down train is not due to take that route. Just wondering if the fact that most (but not all) of the signalling areas had transferred over to Three Bridges played any part in this. I am guessing that the area in question was still covered by London Bridge signal box but I would imagine that there aren’t many staff left there now. It’s worth adding that it takes around 1 hour to fully evac a train, even in daylight. If you imagine five trains, with around 400-500 passengers on board and then try and get them all out one by one down the evac ramp, you’ve potentially added even more disruption. Walking along a railway, with cables, rails and ballast, and goodness knows what else all buried under snow, and no lights to guide the way, is not somewhere you would want a whole bunch of people to be, in high heels, business shoes etc. I don’t think many people commenting on forums outside this website (which is a reliably calm and educated place) really understand what that is like. All the photos shows the trains were crush loaded, so more like 2000 people per train if they were 12 car? The problem with us north-Londoners calling on people to have “back-up plans” is that we can usually walk or get a bus to an entirely different rail or tube route, whereas people south of the river have fewer options, especially in south-east London where there are no tube lines further out than the Jubilee at North Greenwich. Add to that the much-discussed-here way that the interworking of south London suburban services means that disruption in one location can rapidly spread across a very wide area and affect multiple lines, and that much of the worst disruption is due to snow and ice effects on third-rail current collection that are likely to afflict every route in the area anyway. The other problem with getting everyone off trains as fast as possible is that local road transport won’t be able to handle multiple rush-hour trainloads, so instead of hundreds of furious people stuck on trains you have hundreds of furious people stuck at stations and unable to get aboard buses. John B – I don’t believe they were all 12 car – 376’s are max 10 car. There may have been some however. Interestingly, even a 12 car Class 700, with all that standing room, are supposed to carry 1,700 pax maximum loading. giving the seating capacities of ten car formations as respectively 456 and 864. There is a lot more standing room on a 376. Reckoning on two standing passengers for each seated on a 376, and vice versa on a 465/466, would bring both loads up to about 1,330 people, or 133 per carriage. (In contrast, the first 4SUB units on the Southern Railway, built in 1940, squeezed 132 SEATS into a single carriage – however, there was absolutely nowhere left to stand). Because of drivers, luggage and more spacious first class compartments, the capacity of an eight car train was somewhat less than 8×132, but still managed 864 seats in eight cars, the same number a Networker gets in ten! so instead of hundreds of furious people stuck on trains you have hundreds of furious people stuck at stations and unable to get aboard buses. You should add: Except for the more relaxed commuter who finds the nearest pub and has a couple of pints while it all dies down! Admittedly Lewisham isn’t the best place for pubs, IIRC, but it beats standing in a massive queue at the bus stop and it will have toilets…. Ah, but crowding on the street isn’t on SET’s patch, ergo “problem solved”. See also Mexico Inn, aka “closing a level crossing, making pedestrians make a one-mile detour along a busy rural A-road with no footway”. But the reduced timetable didn’t do any untangling., Charing Cross – Blackheath and Cannon Street Sidcup are bad ideas in those conditions. Icing of the conductor rail isn’t just problem on gradients. @Southern Heights: Lewisham does now have an Antic pub – Sutton’s Radio http://suttonsradio.com/ (ex-Market Tavern). I haven’t actually been but it should have at least four cask ales on tap. I was on train four so was able to alight (or detrain!) at St Johns, although I did give it half an hour as I was engrossed in my book. I’ve never been so glad to miss a train in my life (train 2). The reduced timetable is just that. It is basically a timetable with trains taken out. What is really needed is a simplified timetable – fewer dependencies on points and (where relevant) removal of all joining and separating trains. It is also highly desirable to reduce interdependency on routes – but that is difficult. I know the feeling. I was caught up in the First Capital Connect fiasco a few years ago. Fortunately, our train came to a halt at Loughborough Junction and the driver was quick to show common sense and make an announcement saying he had no idea what was happening and he would open the doors in case anyone wanted to get off. @ Phil E – while I recognise that S London’s rail network is complex and interconnected there is still a comprehensive bus network. I was specific in referring to Gtr London as I recognise that rail is pretty much the only option for people further out who would struggle to find alternative services. My wider point, though, is that taking the initiative yourself and getting moving, even in a seemingly “wrong” direction, is better than standing on a concourse and just being stuck and getting more and more annoyed. I rarely wait around for more than 10 mins if there is disruption. I will immediately take an alternative route and live with the consequences if I end up with a longer journey or the disruption clears 10 seconds after I’ve stepped on a different line or taken a bus. In a transport network as dense as London’s there are nearly always multiple ways to get between a and b. It is amazing how few people have more than one route for their regular journeys – I’ve seen it many, many times when giving out travel info on strike days. Most people cannot cope with the concept, never mind the reality, of an alternative route to work! Now OK I have the “transport loon” level of knowledge that allows me to do this almost instantly. The average passenger does not hence my general comment about them having one or two possible alternatives written down and possibly tested out in non emergency circumstances so they know where stops are, where to change etc. People get cross, impatient and do “silly things” when they feel they are not in control / not making progress / not being listened to. Having alternative travel plans at least deals with two of those three concerns. On the topic of winter procedures, the MBTA here in Boston has a policy that during snowy conditions, certain junctions and points are prioritized for clearing, while others are taken out of use. This reduces the number of moving parts and lets them focus the snow-clearing efforts better, as well as increasing the chances that if something fails due to snow, there will be a signal maintainer nearby to fix it. Simplifying the routeing options around Lewisham would have kept things from getting quite as clogged and not using the big crossovers would have reduced the risk of gapping as well. My partner was on 2M48. This left Charing Cross more than an hour late just after 5pm. It was jam packed on leaving as the Blogger who couldn’t board at London Bridge pointed out. It made reasonable progress to Lewisham, but the problems started as it tried to take power leaving platform 4 at Lewisham. It could not take full power, I believe a video was posted on Twitter from the train showing the arcing against the icy ground. As stated the train was a Networker. The train continued to move very slowly for up to 30 mins and eventually the rear of the train cleared the country end of Lewisham platform 4 at around 1810. At that point it all came to a halt. There was no communication from the driver at that point. I gather egress from trains began around 1845. The driver of 2M48 became more communicative after 1830, it may have been that this wasn’t the driver, but the signalling centre. People pulled emergency door opens on this train from sometime around 1905. They were then told BTP were evacuating people back to Lewisham from the back of the train. Then they were told over the PA the train would reverse to Lewisham. Then BTP appeared and evacuated them at around 1940. All very confusing for the people involved given the packed nature of the train. Reading all the comments, the overwhelming impression I get is of a railway operator which is too interested in trains and not interested enough in passengers. If the starting point had been what do we do with all our passengers, rather than what do we do with our stalled trains there may have been a different outcome. The whole story is yet more evidence that the corporate world, particularly in the UK, is totally hamstrung by a toxic culture of risk-averse decision procrastination, generally caused by poorly defined lines of responsibility and an over-emphasis on following processes rather than solving problems. Essentially, everyone gets to shrug their shoulders and then blame everyone else for the poor outcomes. Seriously, CM is very very good at proposing viable alternative routes. Real time traffic conditions reflected in bus timings too. Well, I too am a transport loon ( I think I’ve got the London rail map hardwired in ! ) … but in “strange” parts of London, if something goes badly wrong, then I need to know what/where the buses are. Which I can’t do any more … I used to carry the appropriate “quadrant map” for journeys … but this doesn’t work any more & even if I had a tablet to show TfL’s spider maps, there are black holes they don’t cover – guess how I found out? I wonder if I can work out ( I.e. remember how to ) download an app – citymapper looks useful? @Greg I would recommend Citymapper. It’s surprisingly good. Obviously when out and about you would need the app on your phone but if you have a tablet I would recommend downloading the app there as well as that would provide an enhanced visual experience which is useful when exploring all the app offers. The Canadian based Transit app is also very good but I prefer Citymapper. Both are very good at telling you what buses are due to arrive at any particular bus stop. It is to be hoped that any investigation examines events leading up to the incidents, including the train plan for the day and what happened in practice as conditions worsened during the afternoon. The boards at Charing Cross announced at about 16.00 hours that the service had been suspended. About half an hour later departures began to appear on the boards. At one stage it was announced that Lewisham was not being served but that announcement appears to have been rescinded. Real Time Trains shows that no down trains passed through Lewisham between 1555 and 1635, and also shows that other trains in SE London were at a standstill for long periods at about that time. It is important to know what happened at that time, and what measures were put in place to allow trains to move again. The mere fact that there was a long gap in service in the weather conditions that afternoon would allow snow and ice to build up on the conductor rail and in points and would make conditions difficult for following trains. So, was the service planned to minimise the number of weak points in the system? Were there staff (with a licence to go on the track) located close to any of the remaining weak points in the system? What extra measures were taken as conditions worsened in the afternoon and as trains began come to a stand for long periods at about 1600 hours? @GregT – there’s also the bus countdown app which also tells you the indentity of the vehicle approaching as well as its eta at the selected stop – would have taken all the fun out of bus spotting 60 years ago…. @Greg: If worst comes to worst, I usually just look for a bus that goes somewhere closer to where I live or at least somewhere that I know roughly where it is on the map of London. It might not be the fastest way of getting home, but it does mean you get to explore London! Less disastrous than at Lewisham, there were also problems at Slade Green. My Granddaughter and her husband got as far as Slade Green where they were “detrained” for an hour. The entrance into the TMD was blocked by a train partly in the depot but blocking the down Woolwich line. Presumably again it had stalled because of gapping. Luckily in their case they were able after considerable delay to get a further train to Dartford and then after a further change to Gravesend taking 4 hours in all. Oh, definitely. My worst example was during a tube strike some years ago, when there was an outraged city gent on the radio who complained that he’d taken his usual train from (somewhere on the Brighton main line) to Victoria, and it had taken him two hours by bus to get to his office somewhere near Mansion House station. According to Citymapper, your city gent could have walked from Victoria to Mansion House in under an hour and burned off over 200 calories. Nowt so strange as folk – why would someone living on the Brighton Line with an office near Mansion House habitually take a train to Victoria rather than Blackfriars (or London Bridge if the story dates from before 1988) ? I understand there was a points failure in the vicinity of Lewisham (L844) which blocked several options between about 1630-1700. This may or may not have impacted on the routes that trains were able to take to reach Lewisham station. That’s a lot of trained staff to deploy in a hurry Guano, where are they all coming from? You don’t even have to download an app, Citymapper has a website too. The app is of course very helpful to have in that it loads faster and already knows where you are, but it’s not essential. As it seems that iced conductor rails are probably to blame for this fiasco, may I ask if the current train types are more susceptible than the EPB and SUB types? I commuted on Southern and the North London Line over a good few years and only had one experience of a stuck train (on the NLL – and quickly rescued by a steam locomotive). It also depends on how many shoe-beams & shoes you have per unit. The more the merrier – you sweep the rail-tops more often & also have a much smaller chance of “gapping”. IIRC & please correct if wrong, but I think most of not all of the “Networkers” only have 4 shoes per unit, whereas in SWT-land it’s 8 ….. Yes, there is a HUGE difference between the ability of different train types to handle conductor rail issues. Pre 1960ish the shoegear was far more solidly built and tended to function as an Ice scraper while later versions are lighter, cause less wear (to it and the rail) and are better engineered for high speeds BUT tend to glide over any ice build up than chisel it off. The length of the unit (remembering that there is no power connection between units – only within the individual coaches that make up said unit) can make a big difference too – for example a 4 car class 455 and a 2 car class 456 both have only 4 sets of shoegear. However because they are further apart on the 455 and thus conductor rail gaps for pointwork are less of an issue, the 455 had no restrictions departing Victoria with the signal showing a single yellow while a single 456 had to wait for a green as it was liable to become stranded in the throat of the station due to conductor rail gaps. The 700 series trains for Thameslink come in fixed 8 and 12 car formations which helps as each different bits of the same train are not receiving different levels of power as all traction motors are electrically linked together. Finally the amount of shoegear varies depending on the age of the train. Generally British Rail built units (including the Networkers) only had one two sets each side – mounted on the leading / trailing bogie (4 sets in total). More recent post privatisation builds such as the Electrostars have come with extra shoegear (8 sets in total) providing more redundancy in situations where electrical continuity is affected by Ice / snow as well (hence the comments by SE drivers about ‘older’ trains ‘not coping’ with the conditions). However more shoegear means more to maintain etc – plus not every bogie design is suitable for mounting shoegear on so retrofitting extra shoes is not necessarily an easy exercise. On the National Rail network, UNDER NO CIRCUMSTANCES can ANY grade of Station staff give instructions to drivers as regards movement towards other trains (with the possible exception of the couple of feet necessary to attach / detach two units – and thats more about making sure no passengers are trying to board the units at the time). The only persons permitted by National Rail rules to give such instructions are Signallers themselves, Hand signallers (appointed by the signaller to replace a defective signal) or a Shunter. Station staff can wave whatever lamps they like – it will have zero effect (other than to cause the driver to slam on the brakes thinking there is some sort of emergency going on). Yes I understand that and was not suggesting that the procedure should have been carried out in this case. It was an LU procedure I was describing. There is no fundamental reason why it couldn’t happen in future on National Rail with appropriate training and local rules for each station. Or a suitably trained Network Rail employee could carry out the task but then means you have to get that person on site. The point is that one has to be very safety conscious but, as this incident has shown so clearly, finding a way of getting a train to a station when the route is clear and the station is within sight is going to be the lesser of two evils. I know the world has changed and we have moved on but in the old days if two signalboxes were in sight of each other and there were no intermediate junctions then the signalmen could keep the service going when the track circuits failed by visually seeing that the route was clear. Such operation could (and did) happen between New Beckenham and Lower Sydenham. Nowadays we seem unable to move a train (admittedly over a junction) a few yards in order rescue trapped passengers. @ Greg – others have made helpful suggestions about journey planning options. To be fair you can still use the old quadrant maps with a greater than 98% level of confidence especially in the suburbs. Zone 1 is a different case given the scale of change but TfL still publish “a key routes” map for Central London which doesn’t give you every route but does show what the main trunk routes now do. Clearly much more substantial change is due within 6 months – 1 September is the rumoured date for the part closure of Oxford St. I still happily use quadrant maps but I do know what’s changed and what hasn’t. @ Phil E – I think the daftest example of “passenger outrage” I’ve seen is a lady who was interviewed by TV news in the aftermath of a serious power outage that affected much of the tube network. Now that was a serious incident but the lady was at Victoria complaining how it had taken her 90 minutes to get from Leicester Sq. The fact you can walk it at a moderate pace in 30 mins or so is perhaps the relevant point. I struggle as to how normal fit and intelligant people (as this lady appeared on the TV) are so “incapable” as to not be able to walk such a distance or to ask for directions or look at a map to find their way. I just find it perplexing for people who live and work in the city. If you’re a visitor then fine you’ll likely be unfamiliar with the city’s layout and relative distances between places. @Walthamstow Writer I had understood the quadrant bus maps had been withdrawn from the TfL website. I realise they are no longer being updated but I thought you could no longer access the last editions. Obviously if you have downloaded or printed off a local copy some while ago when they were still available that gets round the problem. Are they still available albeit in obsolescent form? @WW. I also find such lack of geographical awareness to be astonishing. But perhaps more common than those of us on the forums realise. I used to work next to Chancery Lane tube station. A colleague commuted into Liverpool St by mainline then took a central line. One day the central line was out and he was muttering about the hassle of getting a taxi. I asked why not use a bus or just walk – he told me he had no idea of the way. He’d done the same journey for over ten years…. or indeed Farringdon station is not far from Chancery Lane. To be fair, people who’ve taken two hours on a bus may have simply guessed wrong about whether the bus was going to move. Nothing more annoying to bail out and then see the bus whizz past you five minutes later. Before I gave up on buses I have had a trick played on me several times. Buses from Waterloo to the City all go on a circuitous route via the Aldwych. If they decide to turn short at the Aldwych (a favourite trick of the 172 in particular) you are actually further from you destination when you started – and because all the following buses are full, you can’t use them. It’s a good question. However I think that any investigation should consider how things developed that day and what that says about the resilience of the railway on a day like that. It seems to me that on such a day the railway needs sufficient staff who are able to go on the track for various reasons, and they will need to be trained and licenced well in advance. That’s the trouble Guano. The railway in the UK appears to have been run on a knife edge for decades; in BR times because the funding wasn’t there; in privatised times because costs are under heavy scrutiny. Added to that the tendency to rely on low skilled staff or staff with heavily prescribed roles to save on training costs, and you have a system without spare capacity or the ability to step up to rare but calamitous events. To my mind it needs a root and branch reinvention, something that certainly won’t be achieved unless the government stops interfering and micro managing, and allows the industry to take a proper long term view of itself following much broader terms of reference. @WW and Island Dweller – Perhaps it is all Harry Beck’s fault!! Making all those suburbs seem so close and easy to travel from straight to your destination. Seriously, lack of geographical awareness is a problem. Journey Planners do little to help here as people will blindly follow what they say without any idea of what to do when something goes wrong. As has been discovered with sat navs, as time goes by there is greater dependence on them with a correspondent drop in map reading skills. Then we are told that there is no demand for maps as everyone uses online planners. It is interesting to see that some TOCs are now putting up ‘suggested alternative route’ maps, and even leaflets. If only they would shout louder about them. @ Anonymous: Re. the ‘rare but calamitous’ event, what we saw last week was nothing compared to the effects of a wide-scale power outage. I wonder what planning is done for this? Given the age of the infrastructure and the alleged risk of outside interference with the control systems the probability must be quite high. One of the first casualties of austerity in the public sector is resilience. The reserves for rare but severe issues are removed on the basis that they are rare and thus unused for most of the time. This is also true for private sector companies but will depend on the company. Those whose primary focus is short term return to investors will do the same. Note the map pdfs and associated “rear” route lists are in the zip files in the above weblink. Interestingly this is the first time TfL have ever published the route lists / rear of the maps in pdf form. The main maps also include town centre maps which are normally edited out when TfL did put quadrant maps on its site. Be warned the zip files are pretty large. Many people commenting here may not realise just how hollowed out the level of staffing is even for normal operations. I’ve worked for one of the 3rd rail operators and for an area with about 40 stations and which was about 40 miles between the two ends we would have: One Network Rail incident manager and at most 4 or 5 TOC managers. Other than any S&T staff who might or might not be around those were likely to be the only track licensed staff in the area other than train crew. Most stations were only staffed in the morning and in any case no station staff were track licensed. It’s barely enough to deal with ‘normal’ incidents let alone multiple stalled trains when points and conductor rails need clearing or passengers need to be evacuated and walked along the line. Add to this that resources are even more thinly stretched late evening/overnight/weekends. The structure of the modern railway really doesn’t enable much multi skilling as everyone works for different organisations. This reduces the options to redeploy staff in emergency situations, so for example you wouldn’t be able to ask station staff to clear snow out of a set of points that were failing. As mentioned earlier there’s an unwillingness to change this as it would incur huge training costs for incidents which are relatively rare. Especially hard to justify for TOC’s who have relatively short contracts which are in any case specified in every detail by the Dft. Contrast this to London Underground where almost every station is covered 24 hours by a supervisor who is trained in operating and emergency procedures. Most other members of station staff are also trained on the basics so that they can assist with detrainments, evacuations etc. There is also a degree of multi skilling so that people who are licenced for different jobs can be redeployed if required. On alternative routes I’ve found that most regular travellers are pretty clued up. This tends to be in direct proportion to how reliable their usual route is! Alternatives are often very much longer so it’s essential that passengers have as accurate idea as possible how long a delay might be. Apart from well documented complaints about lack of information there is also, as the main article suggests, a tendency to optimism bias, so 20 minutes turn to 40 etc. This means that some people who would have used an alternative had they known how long the delay was going to be will wait around in the expectation that the service will start running again. Once you get to the outer zones local buses often aren’t a realistic alternative at peak hours as they’re relatively infrequent and are already full with their own passengers. Several hundred passengers decanting onto single deckers that run every 20 minutes just doesn’t work! Once you get outside the zones there is often no alternative unless you have someone available for a pick up by car from a station on another route. Buses in Surrey for example are becoming almost non existent with at best an hourly service on many routes and nothing in the evening. I was always quite glad of passengers who were realistic and would ask ‘So you’re saying I should go to the pub for an hour or two?’ I think my personal record was heading for a drink at 1630 due to a trespasser at Waterloo then meeting friends and not emerging until 2230. Not really an option for a lot of people with child care issues etc! @ Starlight – I’m not sure that LU is quite as multi-skilled as it used to be especially in relation to track access. There may not be the same split as on NR but nonetheless it’s not like the 70s or 80s where station staff routinely dealt with track level issues. And LU has, of course, trimmed back the numbers of station staff over the years. I believe there are now instances on LU where quieter outer area stations are unstaffed in the evenings. In terms of the winter weather LU does seem to have done far better this time than in the past. Looks like frequent services and careful preparations mostly paid off. I take your point about alternative routes and was careful to acknowledge that once you get outside of TfL’s area then options are either very limited or non existent. My main point in triggering this debate is that for those who have options it is far far better to keep moving and get away from the disruption if you can do so. That may be partially true but passengers dropping mobile phones and other items onto the track means that LU station staff still get lots of opportunities to hone their track level skills. PoP. LU goes to great lengths to avoid staff on track even for mobile phones. They now use a long stick with double sided sticky pads on the end to retrieve phones without needing track access. Even so, staff have t stand close to the platform edge so the task does involve getting controller’s permission and, sometimes bringing a train to a stand part way into the platform to act as protection. This is quicker than going trackside, and is done for that reason and not as a means to avoid training. You are right of course. As shown in an episode of ‘The Tube’ or similar not that many years ago. Interesting that the policy was to retrieve even in the peak period. The reason given was so as not to tempt people to do it themselves. Last time I saw it happen, which was very recent, I was so absorbed in the procedure involving the train and the platform staff with their modern LED bardic lamp I didn’t actually look to see how the retrieval was done. I can’t get rid of an image of LU trainees at the training centre with their sticks practicing picking up objects from the track in the mock platform at Ashfield House. The Track Retrieval Device as it’s officially known is a simple but brilliant invention. Previously retrievals could take 5 minutes plus especially if either power had to come off or the member of staff wasn’t sprightly enough to get back on the platform without walking to the end. That sort of reduction in delay is massive when they’re running a 2 minute interval service. It’s that kind of innovation to equipment and the rule book where LU seem to be able to be much more nimble than Network Rail. Incidentally in many locations a train doesn’t even have to be used as protection if there is sufficient sighting time. I just realised there got to be a room somewhere in London where people do Detraining Training! On NR, hand-signallers are usually MOMs (mobile ops Managers) or LOMs (Local Ops Managers – the MOM’s bosses. In an event like Lewisham, multiple MOMs will be drafted in from other areas, being asked to drop whatever they were doing. I understand there were 6 on site at one point, which is more than enough. However, as I mentioned earlier, evacuating 5 trains is a massive job and will take many hours to achieve, unless you evacuate all of them at the same time. Of course, those pax will now be on a random road somewhere in SE London and when the power comes back on and trains start running again, they are in the worst position possible to actually catch a train. On the subject of a lack of staff available to go on to the track – what about the army’s of people who turn up to do track maintenance during downtime? I guess they may only be allowed on the track when the juice is off? Under some circumstances, maintenance is allowed when the 3rd rails are live, but you do have to have extra training for it …. The TOCs/NR could also do with finding out a bit more about the area their trains pass through. For example, during a “one under” a couple of years ago, South Eastern were re-routing the Mainline trains between Chislehurst and Sevenoaks to run via Swanley and Otford. These trains would call at Chislehurst, which is effing useless if you need to go to Orpington as the road there (and buses back then) run Bromley to Sidcup/New Eltham. If they had made them call at St. Mary Cray, where there are 4 (B14, R1, R6 and R11) buses that could have taken them to Orpington, with another (51) just a little bit down the hill. Thanks for the info. Good to know that this was a possible option. Being a bit of a devil’s advocate for a bit and covering a point that Greg Tingey has wanted to make, I totally get the bit about the people rescued are in a worse position to catch a train. But I think what others are saying is that it had got beyond the point where any one was bothered about catching trains. Toilets, hot drinks and the need to be able to stretch muscles were probably a higher priority. Unless I have missed it (apologies if I have), there has been little or no comment on the state of the trains after their passengers were disembarked. I imagine they must have been very unpleasant to deal with. Has Southeastern had to deal with any issues raised by its staff (or contractors?) or their representatives? With apologies for a slight diversion from matters South Eastern. Coming back to track matters there was certainly a stretch of LU track, non electrified, where you could be trained. One procedure was putting down a short circuit device (SCD) to cut the power supply off. Even on non electrified track it was a pretty scary process as the instructors talked loudly about “near misses” on real track while people practicised. Regrettably the classes were scrapped many years ago to save money but I still feel the Underground lost out on having a more “rounded” workforce in terms of people who knew more than their regular role. Extra stops would be at the discretion of the relevant control. For example if SWR Windsor trains are diverted via Hounslow it’s common for them to have 2 or 3 additional stops to enable connections via either bus or train. This is where the decision made can vary purely depending who is on duty at the time. It’s probably not unfair to suggest that with every operator some controllers forget the purpose of the railway is to move passengers rather than trains! SouthEastern routinely divert trains that normally run from Ashford via Tonbridge to run via Maidstone East instead, because of engineering work. These trains usually stop at Chislehurst. I had thought that this might be because, for example, engineering work is south of Sevenoaks and the Chislehurst stop allows passengers to transfer to a local going south. This would allow connections to Orpington. I suspect, though, that having introduced the Chislehurst stop, the rationale behind it has been forgotten and so trains diverted for any reason make that stop, whether it’s still useful or not. Excuse me for this might not be work, but what about issuing de-icer to drivers. Get the power turned off, torch to find rail/shoe iced up and this might save the situation which happened. Failing this how about trains that are robust enough to work in the cold. It will be interesting to see what comes from this https://www.gov.uk/government/news/passenger-detrainment-onto-electrically-live-line-peckham-rye investigation, where passengers were not detained on trains for hours and the local staff got on with detraining them. Can I suggest that there are also issues about what sort of service is operated in extreme conditions. I was in Ireland during the recent heavy snow. Rather than just advising, the Irish government more or less ordered everyone to stay at home and all public transport ceased until the worst was over. As a result the roads appear not to have been clogged up with immobilised vehicles and when services could resume Iarnród Éireann and Luas did not have depots full of damaged rolling stock. It may not be possible/appropriate to take such extreme action in London, but something worth considering perhaps. @Londoner in Scotland. When very heavy snow is forecast in New York, they invoke a “snow emergency”. Vehicles have to be moved off key streets, nothing (apart from snow clearance and emergency vehicles) can drive, subway trains are parked within subway tunnels rather than in open depots. Seems an intelligent way to recognise that snow will cause disruption and invokes a process to enable quick recovery. Perhaps London can learn from Dublin and New York. Storing trains in the tunnels on the main running line is risky. If one were to fail to start in the morning you have a bigger problem. And they are not the most convenient place to rectify faults. London Underground does store trains at underground termini as part of normal practice but is careful to only block one of the two platforms. Underground sidings are used as a matter of course. This is partly due to limited depot space and partly due to the desire to get the morning service up and running as quickly as possible. On the Underground there are lots of places where the depot is covered and the tunnels only a short distance away (e.g. Golders Green, Morden, Northumberland Park, Queen’s Park (sidings), London Road. There are even cases of sidings or depots being underground (or, technically, a covered way) as at Waterloo (W&C) and the 16-track White City depot. When the City Widened lines is fully converted the number of these will increase and this may also happen at London Road due to development above. @Quinlet: You are correct, although they don’t always even stop at Chislehurst… But when they do it seems to be independent of whether or not any train are running beyond Chislehurst junction at all! Investigation into passenger detrainment onto electrically live line, Peckham Rye, 7 November 2017. Severe snow falls in New York are relatively regular occurrences most, if not all winters. Hence, preparation and emergency plans are fairly central to their business. In London, the snowfall this year is the first serious snow since about 2011. With current resources it’s just not worth putting that amount of effort into a relatively infrequent event. The last time there was serious snow disruption in London I (with others) commissioned an emergency stock pile of salt, imported from Egypt, just in case of that sort of emergency. It then sat in a (neatly covered) pile alongside HS1 in Dagenham until finally some of it was used this year. In 2011, of course, TfL was relatively rich and could afford this, I doubt off it could repeat that now. @ Quinlet – just as well you did buy that salt. Of course TfL and boroughs got caught out by the relatively modest snowfall over a weekend in North London a few weeks ago. They did do better with the more recent snow fall but I suspect that was after “some pressure” from City Hall to avoid a repeat of the previous poor performance. I agree with you that we can’t afford New York or Canadian levels of winter weather plans and snow and ice clearance. What is, to me, galling is that we see the same mistakes being repeated time and again – insufficient clearance / gritting of bus garage access roads. Borough performance being ludicrously variable when it should really be consistent for the same conditions. Things like cycle lanes not being treated because someone hasn’t realised they need to change the gritting/clearance contract to reflect changed circumstances. There also seem to be variable performance amongst the TOCs although to be fair some areas suffered very, very badly with the winter weather. Carping about no train services when lines are under umpteen feet of snow or tunnels are encased in ice is not appropriate. @quinlet – Actually we had snow last season in the outer reaches of SE London. I vividly remember getting caught out by it. This latter fact leads me to suspect that the snow was not forecast, since I’m usually wary and avoid travelling when snow is expected, if at all possible. But I don’t remember if this is true or not. I’m also not sure what effect, if any, it had on the railways. I attempted to catch a bus from Petts Wood, not my normal route – again this implies there was disruption of some kind, though it may not have been anything to do with the snow. @Quinlet/WW – it is actually quite difficult to put together the business case for buying standby kit against infrequent heavy snow, at least using “conventional” methods. This was put to the test in (I think) 1988 or 1989, when there had been a very heavy snowfall in the NSE area and major disruption to services. Ministers followed with growing impatience the progress south of BR’s only snow blower (it took the best part of a week from its lair in the Highlands). The next year, NSE sought permission to buy a snow blower of their own, but despite everyone’s good will, it proved impossible to put a case together. (matters weren’t helped by a chorus of cautionary noises from the Board’s solicitors who said – rightly, I suspect – that it was one thing to chuck the cleared snow onto an adjacent grouse moor, but quite another to chuck it into people’s back gardens). In the end, a financial fudge was arranged, the new blower bought, and allowed to repose quietly for several years somewhere at the back of a yard… I believe it was eventually scrapped without having turned a fan in anger. I have a strong suspicion that the LT investment methodology would have produced a different result by taking into account the cost of delays to the passengers. The New York comparison. Yes – they do get serious snow more frequently than us. But that doesn’t mean we can’t learn lessons. Example – they don’t keep hundreds of snow ploughs / plows (their spelling) in depots on standby. Instead, they requisition every city garbage truck and fit a plough to that. A much smaller investment, and much easier to build the investment case…. Of course – organising that in the UK with our contacted out rubbish correction…..
We risk going off-topic but such comparisons are dangerous. In London at least I have never heard of or seen the quantity of snow being the problem. It is usually ice – especially black ice. What we need (and generally have) is gritters. I cannot see any benefit in requisitioning garbage/recycling trucks. Outside London the exact circumstances may be different but I am pretty sure there was BBC footage showing snow ploughs being attached to the gritter lorries. There is no reason why they can’t do both but it makes sense for them not to have the snow ploughs attached normally for various reasons – not least extra fuel consumption and increased risks of collisions. A lorry with a snow plough on the front is a very pedestrian and cyclist unfriendly vehicle. Southeastern are missing a marketing trick here. Sell magical stop tickets, just singles tickets a guided walk along permanent way (don’t use hand rail). Arrive at the station another way and find out where you are. Then decide is this area for you, try to find overpriced independent coffeeshop.boarded up flat for £2.5 million and decide is this the new Shoreditch. Firstly, I would say there should be a ‘snow plan’, drawn up allowing for the resources available, and the impact of not having them: and that if the plan ends up being ‘some snow – everything shuts down’ then that has to accepted. I feel a lot of the isses are the result of an expectatation of ‘business as usual’without the provision of resources to enable that. Secondly, going back to what happened arounf Lewisham, while the background, and the cause of the initial failure, was the winter weather, it all came down to the result of one train failing, in a such a place as to grid lock the whole South Eastern main line, bringing everything to a grinding halt. Had that failure happened on a balmy summer’s evening, SE would still have a had half a dozen stranded trains: would it have done any better at getting the passengers off them? Hopefully NR and the South Eastern TOCs will be better prepared than last time, although, as yet, there is nothing on either National Rail or TOC websites for possible travel disruption this weekend. Regarding the current warnings … unlike last time, the temp is not predicted to fall much below -2° and lasting only 2 days, as opposed to last time, where it went down to about -7° and lasted for nearly a week. Even so ….. It would appear that they had a real problem there, mainly because of modern operating practices, yes? To get trains out of the way, you need to either …. 1. Turn traction current off, walk people out & then re-start … whilst in the middle of an 8-track formation … maybe not? 2. Try to get a rescue/thunderbird locomotive onto the front of the front train or back of the back-train. Which means finding a nearby diesel loco ( Not so common these days ) with the correct coupling gear ( Oh dear – the R O G problem – *note* ) And, then you will have to shuffle it across the other still-working lines & possibly run it “wrong line” up to the coupling-point. I would hate to be an operations manager confronted with such a dilemna, because I’m not sure there is or was any “right” answer to that one. *note* … ” R O G” _ Rail Operations Group, a small TOC who specialise in hauling lots of different stock-types around & who use adjustable/replaceable couplers to deal with the problem mentioned, of NOT having a system-wide standard coupling arrangement. Not attempting to defend South Western Railway but it is not a case of evacuating within an hour. If I recall correctly this is national guidelines which a TOC can overrule if their circumstances don’t fit. For busy former Southern Region routes I believe the guidelines are to make a decision within half an hour of coming to a halt and update that decision making at regular intervals. The decision making needs to take into account various factors including time of day, temperature inside the carriages, external temperature, location (and how easy to evacuate), toilet provision and, crucially, whether evacuation might be an overreaction given that would stop everything running and mess up the service for much of the day. If I were a controller, there is no way I would evacuate in the circumstances you describe. Take your points except I don’t really understand how modern operating practices come into it. Surely it was always as difficult – actually more so if you think of trying to put a kettle steam engine in front or to the rear of an EMU? In the days of steam, EMUs had screw couplings. Almost directly underneath the line at that point is Stewarts Lane depot, which often has locomotives around as the Orient Express stock operates from there. Whether any were available that day I wouldn’t know. Indeed, evacuation would have been difficult in the circumstances of yesterday, but that doesn’t excuse the fact that passengers were stuck on board trains for three hours with little information about how long they would be there. Given the time of day, many of them would have been standing. Power-operated doors to toilets meant they would not have been accessible to anyone. The third train must have been very close to Queenstown Road station, which would have increased the temptation to bale out, notwithstanding the presence of another track (just one) between the train and the platform. I would hope there was a contingency plan in case of a medical emergency on board one of the trains. Of course, compensation will be available, but only to the maximum of 100% of the ticket price – little comfort if you only got on at the last call of the first train: – the PAYG fare from Surbiton is £6.60 (and of course the system would actually overcharge you, for an unresolved journey) : compensation for annual season ticket holders would be even less. Meagre recompense for losing half a day’s pay. In terms of moving a disabled train it is not only a suitable coupling that is required but also some means of controlling the brakes on the towed or pushed unit. Moving a train with non-operational brakes is I presume prohibited by the rule book. There have been plenty of instances where the couplings have failed and unbraked vehicles have run away. Not least the rail grinder on the Northern Line. Moving an empty 6 car C Stock with no brakes required 4 battery locos 2 front & 2 back and a very long air pipe as well as a speed restriction to ensure it could be stopped safely. The difference between then and now on train recovery is not down to traction mode, nor any other single factor. As soon as we moved away from the almost blanket standard of side buffers, screw couplings and vacuum brakes throughout the train, incompatibilities multiplied. A big advantage of the Dellner couplings used on the newer EMU stock (In SWR’s case from new on 707s 444s 450s and retrofitted to 458) is that the brakes on the dead unit can be controlled by the rescue unit and air can be supplied through the coupling. NR are modifying their 57s used in the south east so the drop down Dellner coupling height is now the same as EMUs (rather than Virgin West Coast 390s/220s/221s). With GBRf winning some more infrastructure train work (inc. RHTT) south of the river recently (for CP6) they may well repower some more 73s with bigger engines at which point adding the drop down Dellner option as they did for the Caledonian Sleeper modified ones might make sense. The LBSCR and LCDR used air brakes, so steam locomotives inherited from those railways would have been able to rescue any multiple unit of earlier design than the 4PEP. (1) As NGH hints, a version of the Dellner coupler seems to be emerging as the de facto standard, much to the relief of ROG, & everybody else. (2) As also hinted at in passing, there is still a “slight problem” in that even with a supposedly-standard coupling … they may be at different heights. ROG have got round this by having some of their locos fitted with couplers that “crank up & down” to the different requisite heights above rail-level. @Greg T: Isn’t it wonderful that a problem that model railways have solved decades ago is finally being solved at 1:1 scale? To be fair, model railway couplings do not usually have to accommodate continuous brakes, multiple unit control, power supply for heating and aircon, PA systems etc. And there are several different types – Hornby/Bachmann (tension lock), Kadee, Fleischmann, Dapol, ……..
@timbeau – … and, he said bitterly, they “over” replicate the originals in terms of varying coupling heights – even from the same manufacturer claiming to reproduce different items from the same fleet. [Exits stage left, once again to adjust the chopper couplings on an Accucraft IoM ballast wagon to match the couplings on an Accucraft IoM “pair” coach….] Ed – sorry. Not much “new” in the conclusion or learnings department. @NGH. Indeed. It’s as if the Thameslink incident on 26 May 2011 hadn’t happened. For sure, nothing’s been learnt from that one. My expectation of anything actually being learnt from this one either is zero. At a first skim, it does appear that there was an awful lot of running-around & no effective communications going on …. Reading the report and recalling my involvement with incidents and rehearsals for incidents, I realise that it’s very hard to determine when a “routine delay” has become an incident. That said, this one took a long time. I was also struck by the relative complexity of the organisation involving signallers, route control, incident control and service control. I also thought the recommendations, whilst logical outcomes of the investigation, were a bit “motherhood and apple pie” and bordering on being impossible to comply with. That’s not to say that NR and Southeastern couldn’t have done better, but there will be severe difficulty in determining how far to go especially with recommendations 4 and 5. Actually I can see things being learned, there are tiny hints in the report. Despite it being out of their area Three Bridges ROC spotted what was happening and stopped the situation getting worse (i.e. stopped more trains leaving LBG going east). The modern signalling systems are far better at integrating information sources and viewing them in better ways. The rest of the London Bridge Signalling Box will be transferred to Three Bridges ROC over the next 14 months. It won’t have the same route-setting logic /easy of use / workload reduction issues that the current soon to be ex- signalling has that caused some of the issues. The Hitachi TMS should also help with more sophisticated rule implementation. Fitting 3rd rail heating in the Lewisham area looks like a no brainer after track replacement work coming up soon. Newer rolling stock also has more 3rd rail shoes so it cleans the 3rd rail better. Less likely to happen in the future. Not disagreeing, but I think you’ve missed the point. The train(s) actually were stranded & people were stuck in the cold, with no possibility of a lavatory & @ Lewisham very close to & in sight of the station platform … and this seemingly didn’t occur to a single one of the supposed experts running round in circles. Greg: Impossible to know what “did” or “did not” occur to people. What we can know is how they acted (or didn’t). The Class 376 involved, like many inner suburban units, was not fitted with toilets, so the problem has not gone away. It depends on your definition of ‘stranded’. At the time in question, the trains weren’t ‘stranded’ in the sense of fundamentally unable to move. The first train was making progress albeit very slow progress. The second train wasn’t stranded. It was simply waiting for signal clearance. There were faults of course, lots of them, but it always seems to be the case that the controlling mind of the Tingey finger of blame looks for immediate failings of people (the higher up the chain of management the better) without taking into account all the circumstances. Hopefully this will be covered later but the failure to report a stranded train is much more a systemic issue than the blame of individuals. Indeed it the first I have heard of the term and I don’t think the phrase is a recognised critical phrase (like ‘fuel emergency’ or ‘active shooter’). And the people in the control centre(s) are not actually that far up the management chain, are they? But, from the p.o.v. of those inside the trains, they were stranded – they had been there for – how long? But, see also picture from cctv of the inside of coach 8 …. A train can be in perfect working order, and have a power supply, but nevertheless unable to move because of external problems on the track, be it a landslide, a broken rail, a set of points stuck in the wrong position or, as in this case, trapped behind/between other trains. The customers (passengers) do not care in the slightest why the train isn’t moving – they care about the failure of the train to get to their destination (or at the very least, the next station). Whether it was ice or landside is interesting – but in some senses doesn’t matter. What matters is a formal documented timely response procedure to resolve a non moving train. I would have expected that if a train in a busy area (eg within 50 miles of London) hadn’t cleared a signal section for which it had permission to proceed for a defined interval (shall we say 15 minutes) it should trigger a formal management escalation process. To have trains that didn’t move for over an hour without being declared stranded (or equivalent term) is baffling to me. The airline industry has fixed check lists for major events (eg, engine failure – do this – then this – then this). Does the rail industry have these (but failed to follow them at Lewisham) or is it that there is no formal ‘stranded train’ procedure? Yes there are, or should be, contingency plans. Whether they are adequate and whether they are followed are different matters. The ORR report https://orr.gov.uk/__data/assets/pdf_file/0007/28186/review-of-network-rail-performance-delivery-to-south-western-railway-services-july-2018.pdf into poor performance by South Western Railway found that contingency plans had not been updated since 2011, despite a significant increase in traffic since then. It was also found that staff were not always following standard operating procedures in dealing with incidents. The situation may not be the same with Southeastern. Escalation process – Part of the problem was that 2M48 set off over an hour late in the first place was was already fully escalated as regards the older technology in LBG box as soon as it entered the LBG box signalling area. ( many other trains were also over 60mins late already at starting). The Technology available in the ROCS is far better so a repeat in winter 2021 is very unlikely at Lewisham. A big part of the problem was not recognising there was a problem. When it becomes apparent that detraining is desirable but circumstances make it difficult (e.g. because of adjacent, still operational, lines) Is there an alterantive method of de-training available? Find a similar spare unit (or make one spare if necassary). Equip it with some bridges, bring it up alongside the immobile unit, open selected doors on both units and install the bridges. 2. It’s a long way to fall, but this is easily fixed by equiping the bridge with sides. 1. If the immobile unit is rammed full then how do you open the doors to install the bridge without people falling out? 2. The bridge would have to be a different length depending on the location. None of these problems seem insurmountable, so what have I missed that makes this an impractical solution? By the time you realise you need your parallel-detraining-train, & then get it to site, given track-occupation constraints ….. you should have been able to work out a conventional detraining anyway, assuming that there is actually some joined-up “whole system” thinking in process of course …. That is standard procedure and certainly an option to consider when a train fails at an awkward location. If my memory serves me correctly this was recommended as a result of a Derailment in Hooley Cutting and I believe the RAIB report mentioned in in context of the First Capital Connect incident in the Thameslink core though I forget the details. There are standard ‘bridges’ but they need to be located and brought to the scene. London Underground training 50 years back was to bridge the gap with upturned bench seats from the train. They weren’t fixed down in those days. I never practised it, and there would be many practical problems!